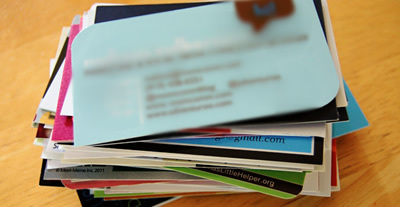 These tiny pieces of card help you to promote your business, ensure people have your contact details and set you apart from your competitors so it's important to get a design that matches the rest of your marketing materials, such as your web site, and a design that you are proud to show off. When designing business cards, we go through as many revisions as needed to get just the right design for you. Sometimes we get it just right on the first go, sometimes it takes a few more attempts but the important thing is that you walk away with a card that you're proud of. Whether you're looking for a brand new design, a small update or just a fresh print run - get in touch.